Pat McAfee announced his retirement on Twitter. 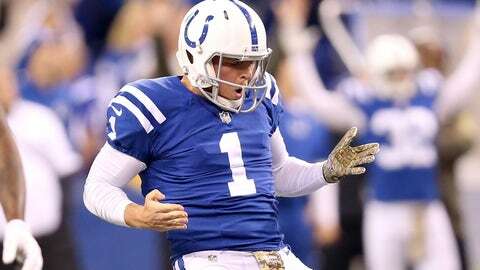 INDIANAPOLIS — Indianapolis Colts punter Pat McAfee says he is retiring. The 29-year-old two-time Pro Bowl pick made the announcement in a statement on Twitter, thanking fans for their support over the last seven seasons. McAfee wrote that three knee surgeries in four years, the expectation of additional operations in the future and an enticing offer to work for Barstool Sports persuaded him to walk away despite having two years and nearly $6 million remaining on his contract. In the post, McAfee says he met with team owner Jim Irsay for 1 hour, 45 minutes earlier this week, and that although Irsay encouraged him to continue playing, Irsay also was supportive of his decision.